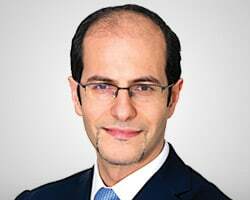 Ashraf Laidi is an independent strategist and trader, founder of Intermarket Strategy Ltd and author of Currency Trading & Intermarket Analysis. He is the former chief global strategist at City Index/FX Solutions, where he focused on foreign exchange and global macro developments pertaining to central bank policies, sovereign debt, and intermarket dynamics. Prior to that, he served as chief strategist at CMC Markets, where he headed a global team of analysts and led seminars and trainings in four continents. His insights on currencies and commodities won him several #1 rankings with FXWeek and Reuters.